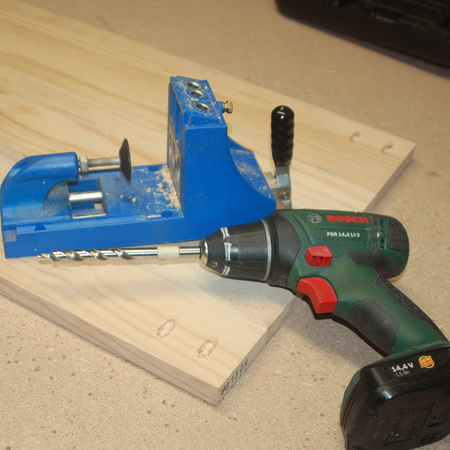 This project was designed for EASY DIY magazine and for all you Kreg pockethole jig owners. It's a simple design that is extremely easy to assemble and allows you to add on extra elements if you want to. 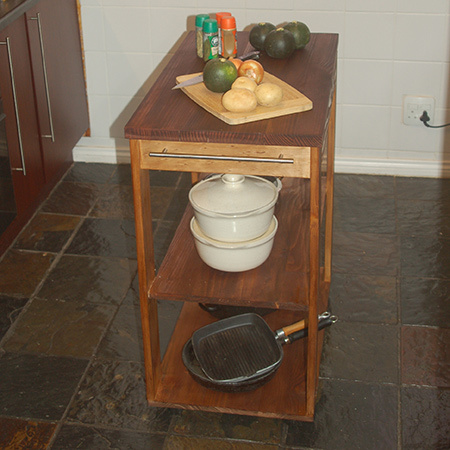 Simple enough for my needs this mobile kitchen island adds an extra countertop and more storage. 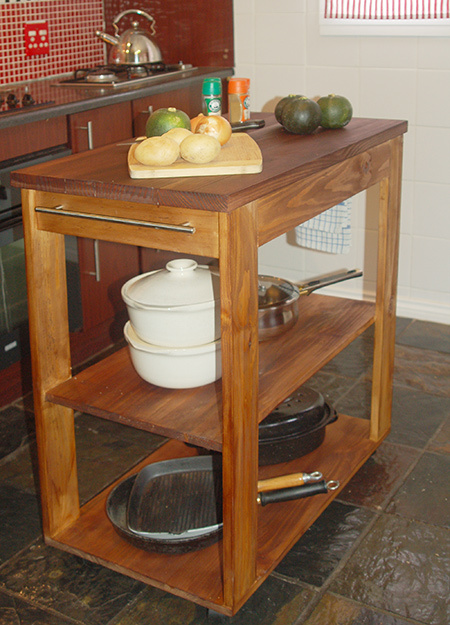 You can easily add an extra shelf, side frames or decoration to this basic kitchen island. 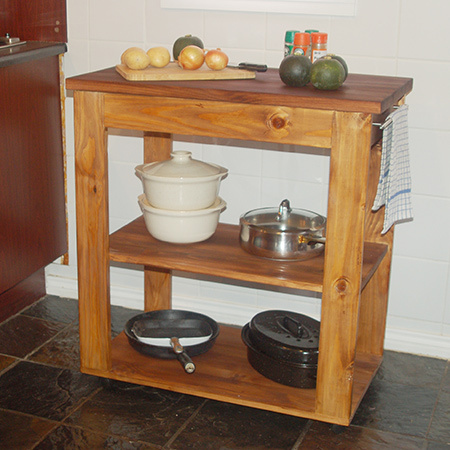 The project is made using pine sourced at my local Builders, stained and sealed with Woodoc, and the top is oiled with Butchers Block Oil that is of food grade and safe to use. Most of what you need for this project can be found at your local Builders Warehouse. 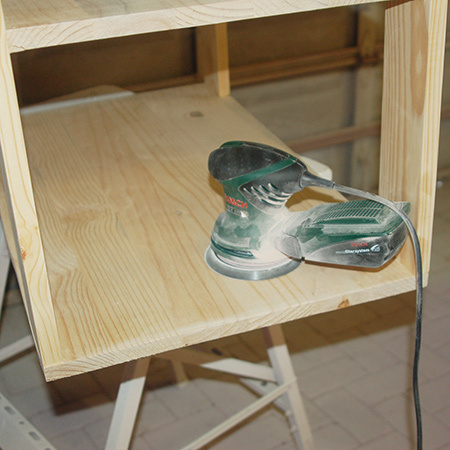 Use your pockethole jig to drill pocketholes in the underside of the shelf and both edges of the aprons. 1. Attach the front and back aprons to the top of the legs. Make sure that the edges are flush. 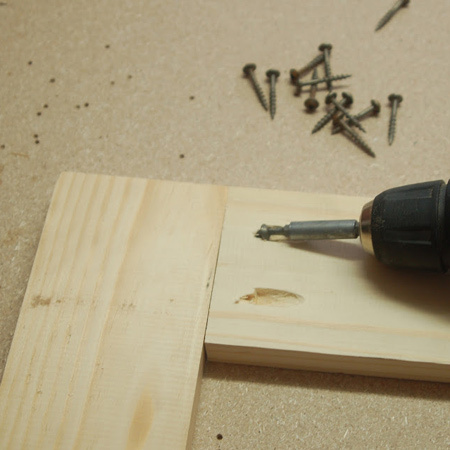 Be careful not too over tighten the screws - pine is a softwood and you may end up splitting the wood. 2. Secure the side aprons to the front and back assembly. There is a 10mm rebate on both sides. BELOW: One panel with side aprons attached. 3. With all the aprons attached turn the frame over (upside down). Measure down 400mm from the top to secure the shelf. 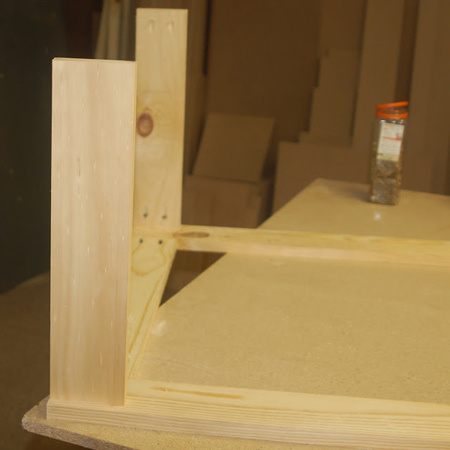 The shelf is also mounted with a 10mm rebate at both ends to line up with the side aprons at the top. 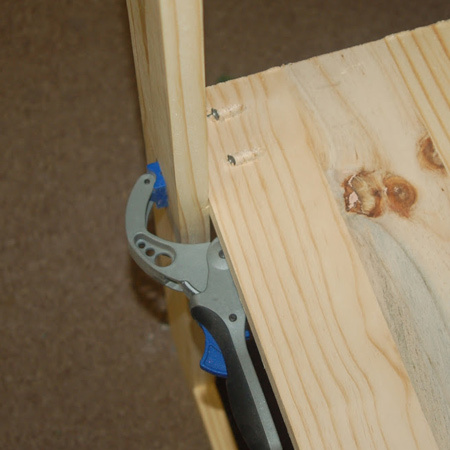 You can use clamps to hold the shelf in place and to check that it is even before securing in place. 4. 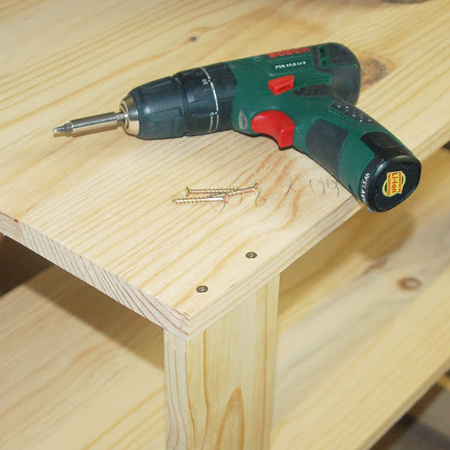 In the meantime, drill pocketholes along the edges of the top planks. 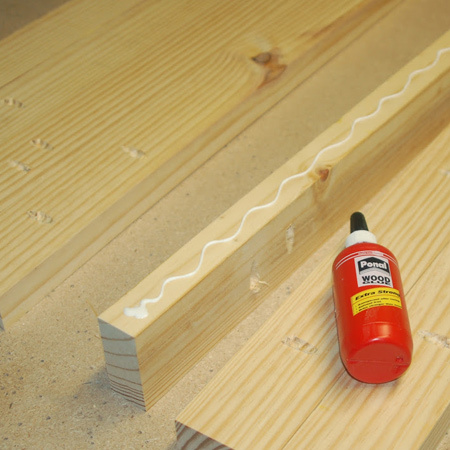 Sand away any rough edges and apply wood glue to the edges to be joined. Align all the edges. 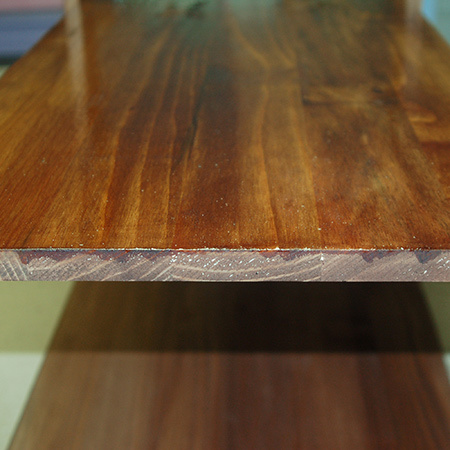 Any irregularities can be sanded away once the planks are securely glued together. 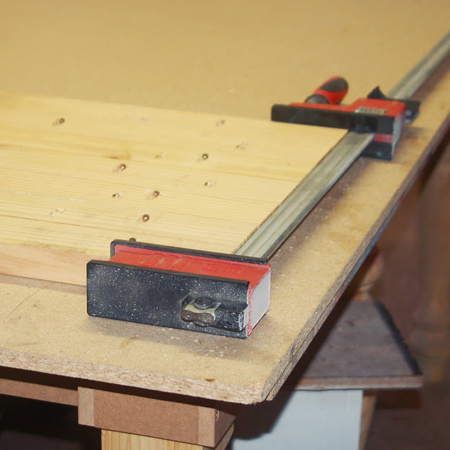 If you are unlucky that some of the planks are not absolutely straight, use clamps to secure the planks together and leave the glue to dry overnight. I invested in a pair of Bessey Clamps. They are a bit on the pricey side but definitely worth it if you do lots of woodworking projects. If you can't find Bessey Clamps at your local Builders, get in touch with www.VermontSales.co.za to find your nearest retailer. 5. While the assembly is upside down, place the base on the legs. 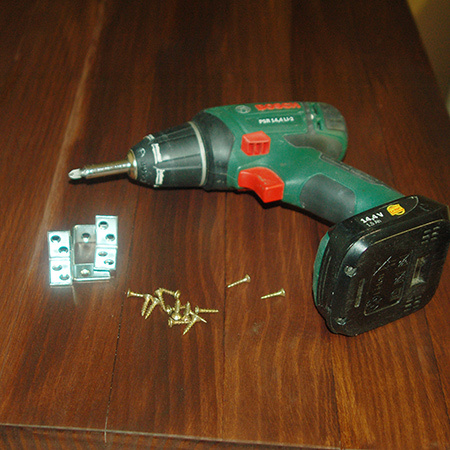 Pre-drill pilot holes and secure with  screws in each leg. 6. Sand the entire assembly so that everything is nice and smooth. Use 120-grit to remove uneven edges and 240-grit for a smooth finish. Wipe clean. 7. Stain the finished frame in your choice of wood tint. 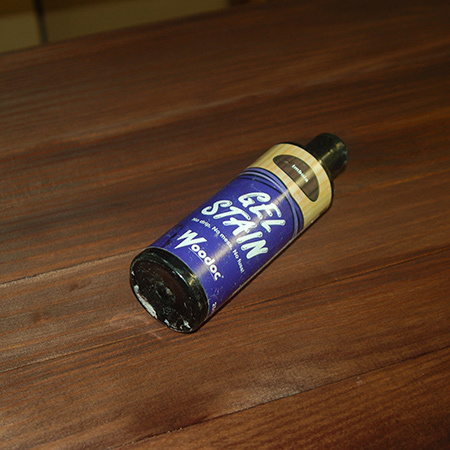 I used Woodoc Gel Stain in Antique Oak. I prefer to use a sponge to apply gel stain, but a cloth works just as well. 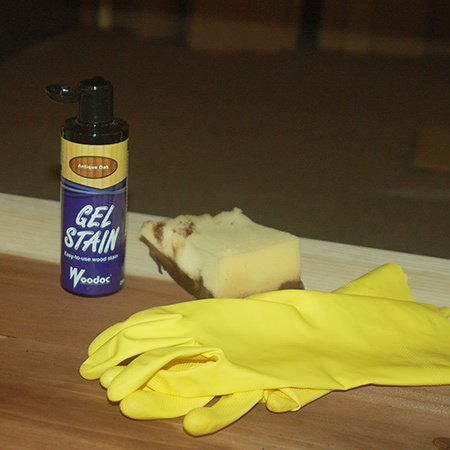 Apply the gel stain with the direction of the wood grain. DO wear gloves to protect your hands from stains. 8. To protect the wood I applied three coats of Woodoc 30 Polywax Exterior Sealer. I used Woodoc 30 because it is a completely matt finish, and exterior because I may want to use the mobile island outdoors on the deck. However, for coastal regions it is recommended that you apply Woodoc 55 if you plan to use outdoors. 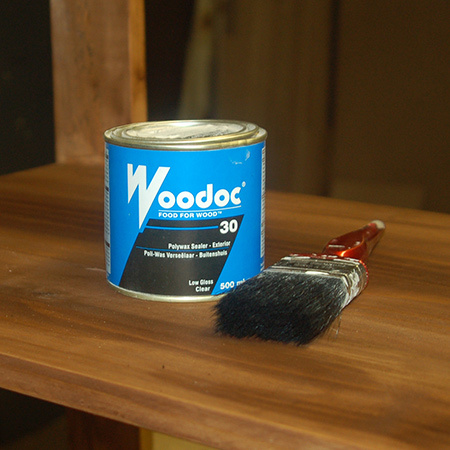 Apply a liberal first coat to flood the surface of the wood. If it is absorbed within 5 minutes apply more. The surface should remain wet for at least 5 minutes. Pay particular attention to the cut edges of board, as these absorb the sealer quickly. 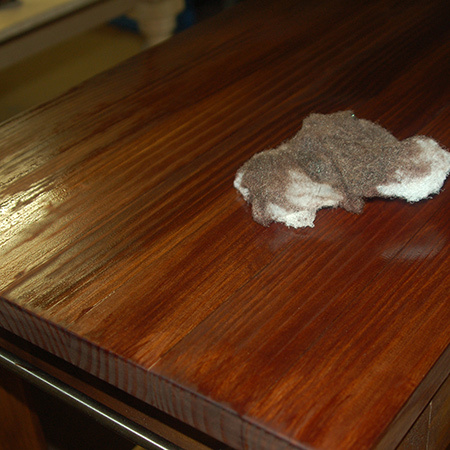 BELOW: This is how the surface of the wood should be after applying the first coat. It should remain wet for at least 5 minutes. 9. 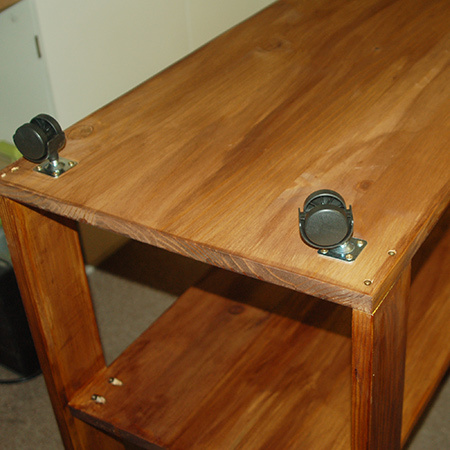 Caster wheels attached to the base with 16mm screws allow the kitchen island to be moved around easily. 10. Brushed steel handles on both side aprons not only allow you to move the island around easily, but can also be used for hanging tea towels or utensils. 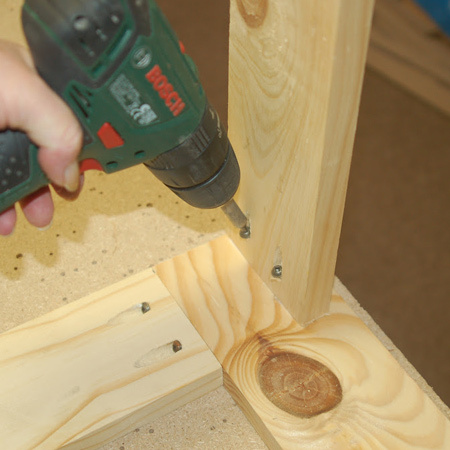 If the screws for the handles are not long enough to go through the pine, use a countersink or spade bit to drill a hole to half the thickness of the wood. 11. A darker, Imbuia gel stain was applied to the top to give contrast against the lighter bottom frame. 12. 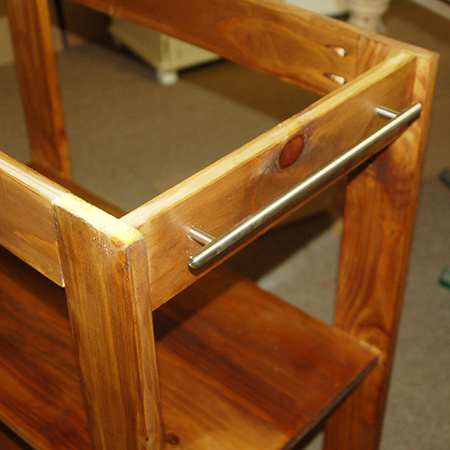 The top is attached to the frame with  steel angle braces and 16mm screws. 13. Butcher block oil was applied to the top. This is a food-grade oil that won't contaminate food. You can also use food-grade mineral oil as a substitute, or beeswax. 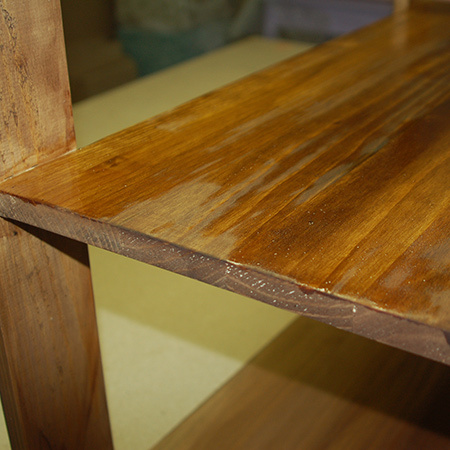 BELOW: Soak the surface with butchers block oil until the surface remains wet for about 5 minutes. Regularly apply butchers block oil to ensure maximum protection.